With less than two days before the sentencing of Congressman Dr. Ami Bera's father for Federal campaign finance violations, rival candidate Sacramento County Sheriff Scott Jones has proposed campaign finance reforms that squarely put the elder Bera's crimes into focus. Jones, the Republican candidate challenging Democratic Bera for California's Seventh Congressional seat, has made the May 2016 guilty plea of Babulal Bera, father of the Congressman, one of his main attack points on the second-term incumbent. 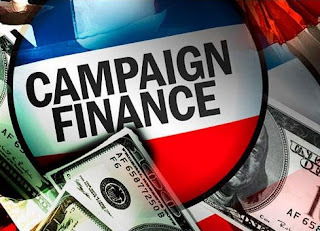 The elder Bera plead guilty to Federal charges that he reimbursed donors who made contributions to his son's campaign thereby bypassing individual contribution limits. “More has to be done to root corruption out of politics and expose conflicts," Jones said. "As Congressman - just as I’ve done as Sheriff - I will be proactive in ensuring transparency and accountability in government. That’s why I'm proposing three simple rules that will help increase transparency in our election process." The Bera campaign did not respond to an email request seeking comment on Jones' campaign finance reform proposals. Should Jones' be elected, the chances of getting legislation passed, much less introduced are minuscule given the reluctance of either party to tackle campaign finance reform. Nonetheless, they are a tool Jones can bludgeon his opponent with while not directly attacking the elder Bera. Sentencing for the Bera is scheduled for this Thursday in Federal Court in Sacramento. While prosecutors are seeking a 30-month incarceration of Bera, a pre-sentencing court report recommended Bera, who at 83 years of age suffers from several ailments, be given probation. "Campaign finance rules are stricter than ever, but most of the rules are based on reporting processes that are out of date," Jones said.